Tuxachanie Creek is a beautiful coastal blackwater stream near Biloxi and D'Iberville, Mississippi, with tons of potential for boating, fishing, and wildlife watching. It flows through the DeSoto National Forest toward the Tchoutacabouffa River and Biloxi Bay. In 2018 we added 294 acres to the DeSoto National Forest that protects another mile and a half of Tuxachanie Creek. The landscape here is a mix of floodplains and pine forests. Longleaf pine is one of North America's most imperiled forest ecosystems, boasting incredible plant diversity and home for a number of threatened and endangered species. The DeSoto National Forest has been restoring longleaf pine forests for years, and particularly since Hurricane Katrina dealt a devastating blow to the area in 2005. Acquiring this parcel will help the Forest Service simplify prescribed fire and forest management for this nationally significant ecosystem. 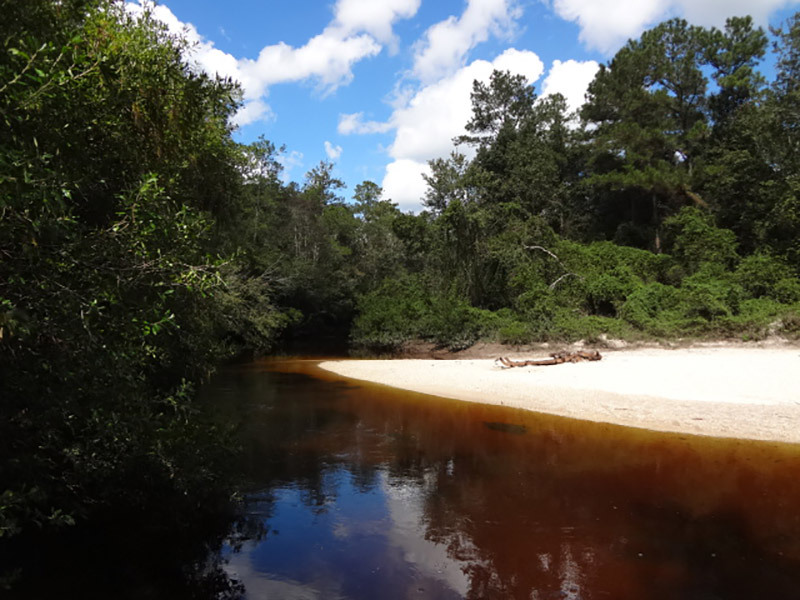 Adding this land to the national forest provides public access to more of Tuxachanie Creek, and aids plans of partners in the area, including the City of D’Iberville, to develop a "blueway" for recreation along the Tchoutacabouffa/Tuxachanie waterways. We partnered with the U.S. Forest Service and the Partnership for Gulf Coast Land Conservation and drew funding from the Land and Water Conservation Fund.